Travel money specialist Travelex is jumping on the fintech bandwagon by launching a new MasterCard product called “Supercard” that lets users avoid fees and charges when spending money abroad. Supercard links to a traditional domestic bank card or credit cards. Travelex uses smart tech to re-route transactions made abroad to these domestic accounts, meaning users avoid fees usually charged for spending money on plastic abroad. Money is converted into your home currency using the MasterCard wholesale exchange rate, the best available. The company trialed the card with customers last year and is now launching it to the general public. The chip and pin-protected card is linked to an app which lets people track and monitor their spending as they’re abroad. The one fee Travelex does charge — it has to make money after all — is a 2.99% fee on any ATM withdrawals made abroad. Travelex’s Supercard rivals several hot fintech startups which have brought out products that hinge around card technology. The most obvious rival is Revolut, which gives customers a card they can spend abroad with zero fees and at the best exchange rate. The startup has only been around for 10-months but has already seen over $500 million (£353 million) spent on its cards. Supercard’s technology is also reminiscent of Curve, a startup that gives customers one debit card that links to all their debit, credit, and loyalty cards, meaning they don’t have to carry them all around. Users can control which card they are spending on using Curve through an app. 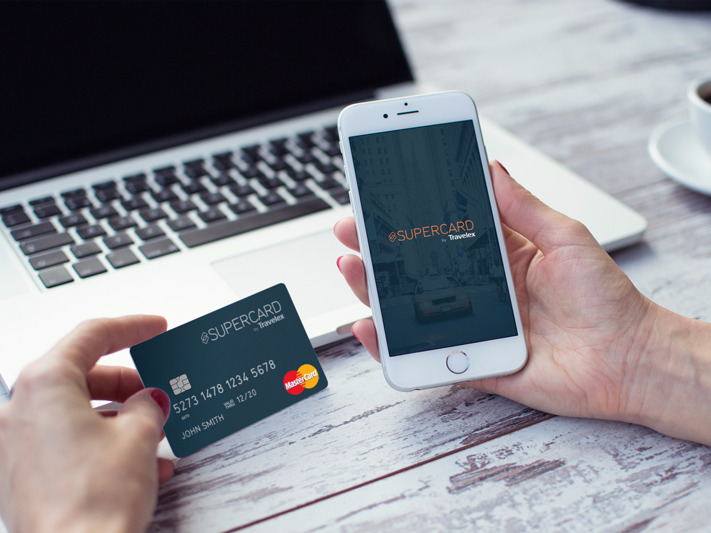 Like Curve, Supercard is built using the technology of Wirecard, an innovative Germany card technology company. Other fintech startups that work with Wirecard include Mondo, Pockit, and Loot. At Travelex, we’re on a mission to create innovative financial products to help our customers’ breakdown the borders that limit them from living internationally. Supercard provides them with the power to remove the boundaries they face when spending abroad meaning they can travel with the peace of mind of knowing they’re not getting charged fees and charges for spending with their UK bank cards abroad. Cornwell has been helping spearhead Travelex’s push into fintech — financial technology — amid a wave of innovation from startups. Cornwell pushed the holiday money giant to create a £25 million fintech fund to make seed investments in fintech startups back in 2014.